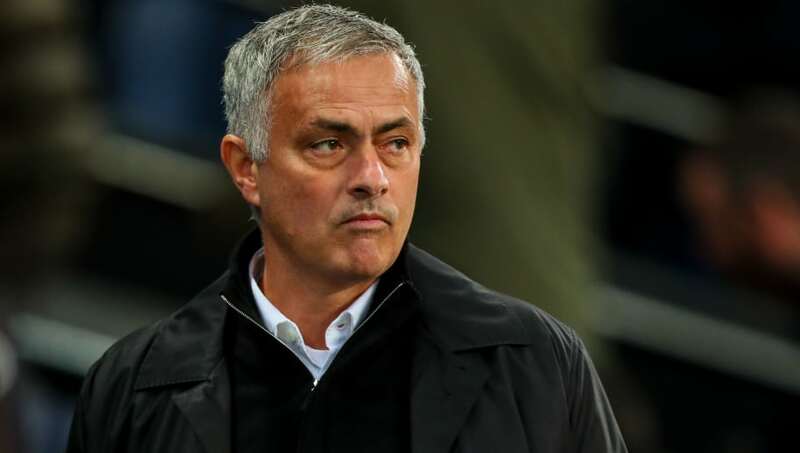 ​Manchester United manager Jose Mourinho was spotted in the stands during last week's UEFA Nations League clash between Belgium and Iceland, with the club linked with moves for Belgians Toby Alderweireld and Axel Witsel. With Romelu Lukaku injured, there was much speculation around why Mourinho would opt to travel to Brussels, with Marouane Fellaini the only United player involved in the match. Mourinho has regularly been spotted at international matches as he scouts any potential transfer targets for the club. According to Belgian outlet ​Het Laatste Nieuws, the ​United boss was in the stands on Thursday to scout ​Tottenham Hotspur's ​Toby Alderweireld and ​Borussia Dortmund's Axel Witsel. The report claims that Mourinho does not trust the scouts at United, instead preferring to see his targets play in person in order to gain a better idea of the player's suitability for the Red Devils. United are said to have rejected Mourinho's suggestions that the club should target Alderweireld and Witsel. The duo, who are both 29-years-old, are believed to be too old and too expensive, meaning they will not increase in value. The club are also believed to be concerned by Witsel's decision to move to the Chinese Super League in 2017. They fear that his year in China may have been detrimental to his playing ability, even though Witsel is currently enjoying somewhat of a career renaissance in Germany. Both Witsel and Alderweireld were given the full 90 minutes during the match, which Belgium won 2-0. However, Mourinho was seen leaving the stadium after just 65 minutes, but this is said to be normal for the Portuguese manager. Alderweireld has just one year remaining on his current contract, although Spurs have the option of automatically extending his deal by a further year. However, if Tottenham choose to do so, they will also activate a release clause in the defender's contract, which is said to be just £25m. He may be viewed as a more realistic target than Witsel, who has only recently returned to Europe with Dortmund. He has been a key player for the club during their phenomenal start to the season, and Dortmund would certainly be reluctant to part ways with the midfielder.